Eating healthy is so important to not only getting back into shape, but maintaining the new image you’ve worked so hard to create. Sure, a lot of the fad diets will help you get to where you want to be. The trouble is that few of them are sustainable and some can even be damaging to your body over time. The most important thing you can do to foster success is create and commit to a lifestyle of healthy eating and regular exercise. It’s going to take a little effort and a very open mind, but you’ll get there. I promise! Adjusting is the most challenging part. This will sound a bit harsh and a bit dramatic, but the easiest way to begin is by purging. Remove the temptation to eat junk food all together by simply banishing it’s presence from your home! When I decided that enough was enough, I literally grabbed the trash can, went to the pantry and began throwing things out. Then I moved to the fridge and finished with the freezer. Once I was done with that, I grabbed the car keys and drove directly to Whole Foods to replace all of the garbage I had just disposed of with healthy, vitamin rich foods. A very good, very simple piece of advice was given to me a while ago. If it is not something that can be purchased from the perimeter of the grocery store, then it should not be present in your diet. Take a second and think about this advice. Where do you find the produce, dairy, meats and bread? Around the perimeter! That’s a pretty dang easy rule to follow if you ask me. I’m going to give you a few of my absolute favorites and tell you why they’re so great for your body. These guys have some of the highest concentrations of phytochemicals, antioxidants, fiber, vitamins and minerals. Various components of cruciferous vegetables have been found to assist in the prevention of cancer by stimulating enzymes in the body which aid cells in the elimination of carcinogens. Their antioxidants help to protect you against free radicals (an atom with an unpaired electron) which can cause oxidation and damage to cellular structures if abundantly present in your body. Some examples of phytochemicals are: cartenoids, flavonoids, and plant sterols. Phytochemicals help protect your cells against absorption of carcinogens, fight malignant changes within cells and boost antioxidant activity in the body. They are rockstar health staples and typically have stronger flavors so you can enjoy their natural taste without putting unhealthy sauces on them. These foods also have the added benefit of being high alkalizers. They are going to help neutralize a lot of the overly acidic systems your body now has. 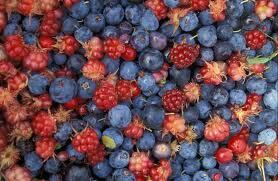 Berries also have the benefit of containing high concentrations of vitamins, antioxidants, phytochemicals, and flavenoids. They are a naturally sweet, low calorie treat you can use to replace your candy bars and ice cream with when you find yourself craving sweets. I put them in my salads a lot to add some contrasting flavor to any salty protein I include. Remember it is best to consume fish that has been caught in the wild and not farm raised. Farm raised fish contain less of the good Omegas due to their lack of wild diet. Additionally, many have been administered antibiotics and exposed to higher levels of PCBs. If you are going to switch to organic, your meats should be the absolute first thing on the list to buy organic/free-range. 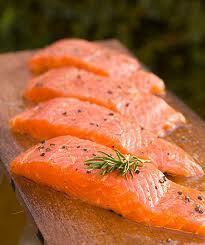 Omega 3 fatty acids are your poly-unsaturated fats. Studies have shown that an omega-rich diet can lower triglycerides and in turn promote heart health. They also help to increase metabolic activity, ease joint conditions and boost brain activity. These are just a few examples of the myriad benefits Omega 3s can provide. An interesting side note: 60% of your brain is comprised of fat. So many people think cutting fat completely out of their diet will make them healthy, when in fact fats are essential to your health and functionality. Just keep an eye on the types of fats you are consuming. Try to keep the “saturated” and “trans” fats to a minimum. They’re the ones with the terrible health risks. While both are good for you, Greek yogurt typically has a higher protein content than other types. I recommend the unflavored because they tend to have far less sugar than the ones with fruits or honey. White cheeses have a lower fat and higher protein content than other cheese for some reason. So, try and grab one of those as an alternative to your usual selection. You will get many of your essential vitamins and minerals from these products. 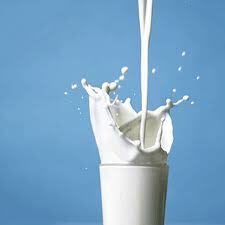 Protein, calcium, magnesium, folate, B1, B2, B6, B12, A, D, and E can be found in a serving of dairy. These nutrients help improve bone density, lower blood pressure, and regulate body-weight. And if we’re going to talk about the vanity facet of their benefits list, they improve skin texture and hair luster. Stay away from the the bleached and processed grain products! “People who eat white bread have no dreams.” -Diana Vreeland Teehee. I love that quote. Seriously though. Be careful about the kinds of carbs you are consuming. You get a lot of your energy from carbohydrates, but the processed and bleached versions of them will cause insulin spikes, fatigue, weight gain and all kinds of problems. 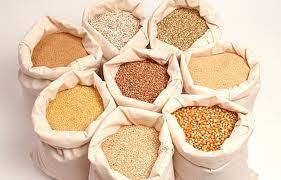 Whole grains are more difficult for your body to break down. This means you will feel full longer, have more balanced levels of energy, and your body will burn more calories processing this type of grain. 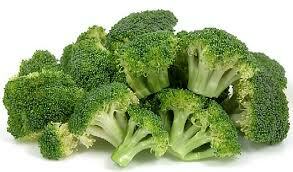 They are also high in fiber which will help keep your digestive system healthy and balanced. I could go on and on about the benefits to these gems, but I’ll relent. And the really excellent part of all these things….you will be eating MORE as opposed to less with a diet rich in these foods! The foods I have listed are lower in calories and fat, as well as being more nutrient and water dense. Hooray for not having to be hungry to be thin! I have probably 6 gallon-size ziplock bags in my fridge of fresh veggies I’ve precut for convenience. This is such a good trick because when I get hungry all I have to do is grab a couple bags and a container of hummus for a snack. The last pointer I want to give you is HYDRATE! Roughly 70% of our body is made up of water. The scary thing is…most people are severely dehydrated. 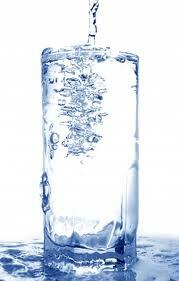 Feeling thirsty is your body’s last indicator that you are dehydrated. You should be sipping water at least every 15 minutes. A lot of us feel hungry when the fact of the matter is that we are simply dehydrated. Our body is searching for a source of hydration and it feels like hunger because at that point our bodies will take it in any form they can get it, be that liquid or solid. To give you an idea of how much water you should consume on a daily basis: divide your body weight in half and add the word ounces to the end of that. For example: I weigh 106lbs, which means I should be consuming a minimum of 53 ounces of water a day. The darker your urine, the more dehydrated you are. Bored with plain old water? I slice up lemons and cucumber to add a little natural flavor. I’m challenging you to take an about-face approach to your health. Try these suggestions for at least 10 days. I would be utterly shocked if you didn’t notice a drastic change in your energy levels and feeling of well-being. Please come back to share with me your stories and any progress you’ve made!